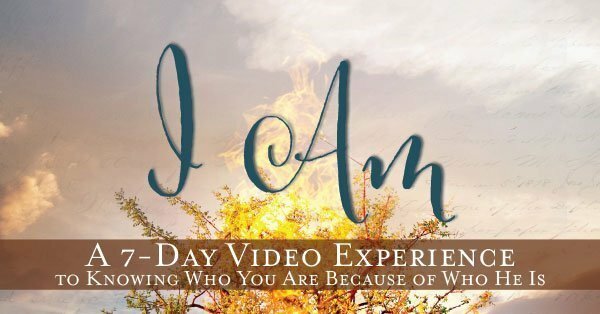 We Need You: Join the I Am Launch Team! I typed those words on my laptop minutes after leaving a sweet circle of high school girls. Every week we met as a small group, to share life, laugh and study a little bit of the Bible. I loved those girls as my own, saw so much of myself in them. Which is probably why my heart ached when I watched point-blank their struggle with insecurity and identity. These were mostly middle class, suburban, church-going girls. Girls who, on the outside, appeared to have it all. And yet they appeared desperate, like pinballs flinging themselves from relationship to relationship, loud and frantic and attention-seeking. I knew behind all that bravado sat fragility. Their constant obsession with selfies and cell phones didn’t fool me. They weren’t shallow. They were starving, trying to find someone to love them. By the time I got home that day, my longing for their security turned into a longing for my own. Sure, I had age and maturity. I knew how to control my selfie impulses and hide my desperation. But I understood their frantic behavior more than I cared to admit. I feared rejection more than anything. It drove my schedule and often dictated my emotional extremes. You see, when you don’t believe you’re worth much, your mood is entirely dependent on how the people around you feel about you. And so I typed up those two words, I am … And then stared at the blinking cursor. But none of those things solved my emptiness. Because although I played my role and did my job, I didn’t feel like I did any of them all that well. I was a hack, a sham. I knew better than anyone my long list of blunders and failures. It’s been at least six or seven years since I first wrote those two words. Of course, I had zero idea at the time how my identity struggle would grow more complicated in the years that followed. I had no idea how cancer would change my body. How some of those changes would make me feel like less of a woman, wife, mother, writer, speaker. And how the physical changes would then create an internal uncertainty that was even more dark and difficult than before. I’ll be honest: This book has cost me. The only way to find a sure footing is to eliminate all the fluff. Turns out I’d built my confidence on a lot of “fluff.” That means I had to experience a lot of “losing” to find a strong enough place to stand. Will you join us? 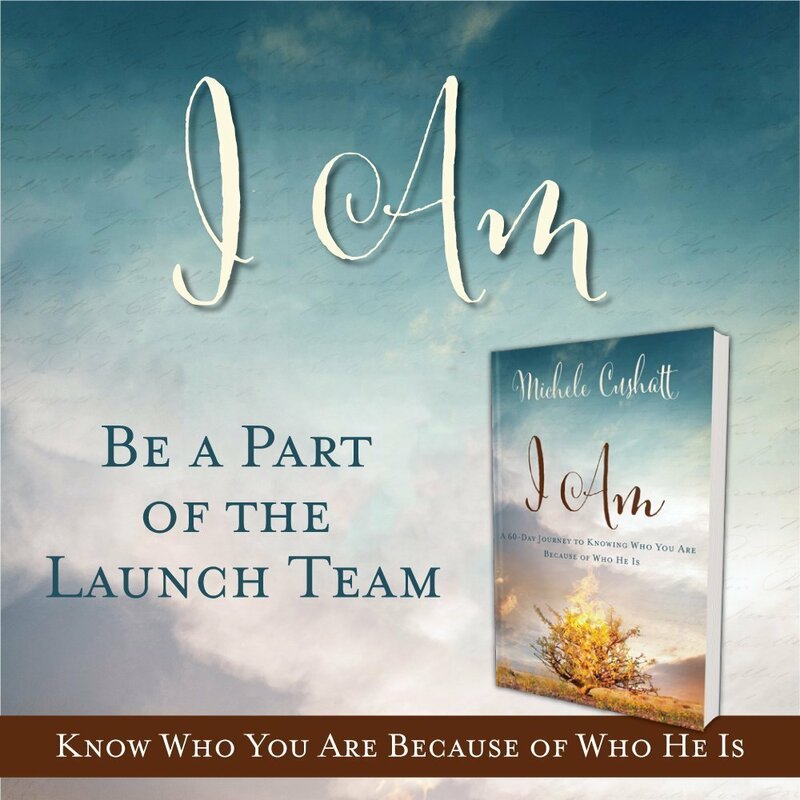 Will you be a part of the I Am Launch Team? We need your voice. You can help change the narrative, point the searching to the only real answer. Would you be willing to be an ambassador, to walk out the journey and then share it with someone else? We have a big world filled with hungry people searching desperately for a fill. 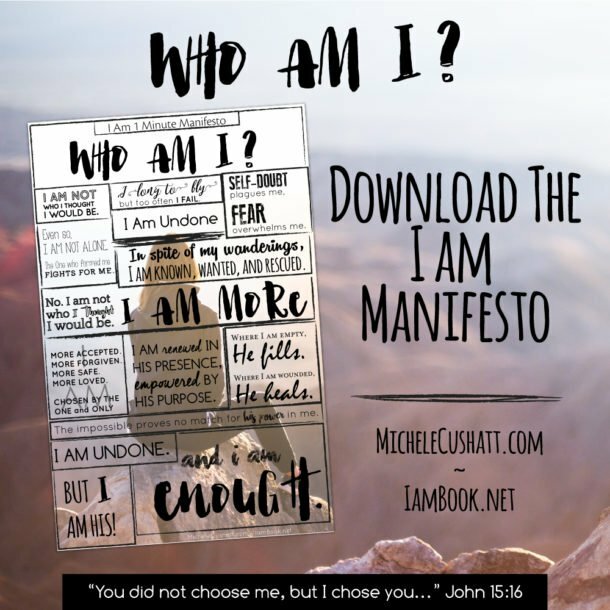 As a launch team member, you will get an advance digital copy of the book, I Am: A 60 Day Journey to Knowing Who You Are Because of Who He Is, access to a private Q&A call with me just for launch team members, access to a private Facebook group and a few more surprises! Interested? Simply complete this form by December 5th. The launch team will be limited to around 250 people, so please don’t delay. We want to make sure that the group is large enough to make an impact, but small enough that my team and I can interact with you on a personal level. Thank you ahead of time for your heart for this message and your passion for knowing who you are because of who He is. I can’t wait to see what he has in store for each of us! I am at a ’10’ right now. I, too, have had health problems in the past couple of years. They left me unable to continue in the ministry God had called me and my husband to 19 years ago in Istanbul, Turkey. Since then, my health has been restored PTL but my confidence in participating in the ministry has been severely impacted. I look forward to walking this journey with you! Our circumstances are different, Lori, but I understand your words all too well. So glad we’ll be walking this road together! I don’t know the number! I feel like my brain is fairly confident of my identity, but my emotions haven’t resolved it quite as nicely! I struggled so much with learning to just “be” while I was sick, but my default mode is to “do”, and I overdo it. My ministry right now is to my 21 middle- & high-schoolers I teach, as well as my three at home. It burdens me to no end that the world shouts & screams negativity at them all day every day, while Jesus is there with all of His goodness, kindness, love. Yet again & again, they choose the world. I get it. I do it too. I’m learning to recognize my own silliness. I can’t stop imagining how different this world would be if more of us grasped how truly loved we are. So, so true. The lack of a solid identity is what incites jealousy, criticism, judgment, rejection, violence, abuse, … It’s ugly. Oh-so-ugly. And the only way to counteract it is to do battle inside our own hearts. TEN! I go back and forth from Christ and the world all day long with who holds my identity. I’m a 10! 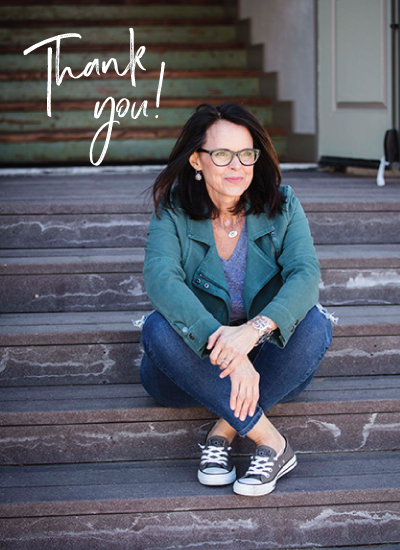 This year has been full of “life” and I’ve struggled with empty nest, depression, menopausal emotions, etc..it’s been very hard to stay on track and I’ve questioned every area of my life, including my relationship with God, my purpose, the “what am I supposed to do now?” questions….it’s been a long road. I’ve chosen the word HOPE for my 2017 intentional focus. I’m thankful I’m not alone though and love the way God shows up in my life. This has turned in to a year of constantly casting my cares upon Him, learning to pour out my heart as well, and stay at His feet as I open every part of myself completely to His grace and mercy, mending and growing. Every day is different. Good days I am at about a 6, harder days I’m a full on 10. I am a big fat “10” on the daily struggle of “identity” and knowing “who I am”. It started as a child when I think as middle child I always tried to win the attention of others followed by growing up in a home with Dad struggling with mental health issues. I was always trying to be good enough to win favor and make my Dad happy. Frequent moves a speech/language impediment sure didn’t help things. Fast forward, marrying a wonderful man and having the family of my own to love and pour myself into seemed to quench my thirst of belonging only to reappear when the first son left home for college just as my husband took a final military assignment on the other side of the U.S where my son was attending an Academy. I knew this son leaving was the beginning of my unraveling as one by one all four left our nest. All insecurities and reappeared as I navigate empty nest, an estranged son, and children andwith my grandchildren living all over the country. The family that gave me significance sorta kinda doesnt exist anymore. Oh not to mention both my husband and myself facing a battle with cancer 5 years ago just 6 months apart. So what am I doing? I am committing myself to read to pray to seek, seek, seek what God wants to do my my heart during this raw season of my life! would love to be part of the team! A daily struggle. I have always struggled with this insecurity b.s but especially as I push myself in a new season and stepping out into unfamiliar territory. 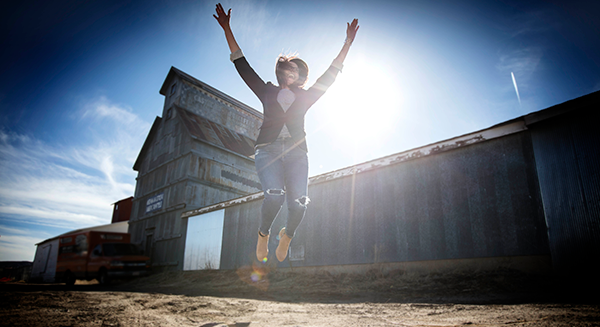 Just because Jesus set us free doesn’t mean we don’t pick out clothes to wear from our old wardrobe, familiar clothes of who we used to be or what the world says we are. You are going to hit home in the heart of so many people. I can’t wait to read it! I bet I will be in tears and sitting under my kitchen table with a huge chocolate cake as I think to become more than I am!! I am probably 8-10 daily! I am definitely a 10. I am a perfectionist. I have always felt that I have to earn worth and love. Deep down I don’t think I deserve to be loved. Insecurity is a daily struggle. I try to hold it at bay by completing my to do lists, watching my figure and exercising, homeschooling my children and holding everything together. It is exhausting. I know my labels: wife, mom, sister, homemaker, teacher, runner. But do I really know who I am? No. The title of your book resonates in my soul. I am intrigued. And scared. Do I dare discover who I am? Is it possible? Can I discover my worth in Christ? Will I be able to believe it in my soul and not just at a shallow, intellectual level? Am I ready for this journey? I want to find out. I want to give Jesus a chance to teach me. I wish I could say that I do not struggle with my identity and insecurity, but I do. I probably live at 7-8 on that scale. On the outside, my life looks pretty together and honestly, I have been blessed. Been married 35 years, have 3 wonderful adult children with great in law children and 4 precious grand babies and a solid job Yet, at my core, I wrestle with am I good enough? Will people still like me if they know that daily I doubt myself? Question my worth in Christ? That after 40 years as a Christian, I still yearn to “know that I know” that before the throne of Grace, I am enough…That Jesus is enough, that right where I am is Okay… that even though life is hard, God is good and always working. I read devotionals, read my Bible, listen to Christian music, attend a wonderful church yet…inside I struggle. For most of my life I have been pinging the 10! I was a perfectionist, a people-pleaser, full of anxiety and fear of failure for a large portion of my 47 years. God has been leading me into a place of rest and receiving so the number is definitely lower today (maybe a 6). Can’t wait to read your book, I anticipate that it will be something most of us can identify with! As a divorced mom of two teenagers, I’m a 9-10 much of the time. I want to be strong yet caring for my son and a good role model for my daughter. Sometimes I don’t even know how to just be me or who I am as I prepare to be an empty-nester soon. I also teach special ed preschoolers so am just tired. Who does God want me to be at this point of my life? Why do I still feel awkward and say the wrong things socially sometimes? Ugh, life is difficult! My sentence starts similarly – I am just…. I always discount myself. To me, my skills and knowledge do not seem special. It seems to me that everyone has them. I am trying to back up and see that not everyone does. I have some special skills to offer. My number is a 9.5. I feel I’ve made a minuscule bit of progress, but have a LONG way to go. I’m a middle aged woman who will finish a Master’s degree in July. I thought I’d have it figured out by now…..not by a long shot. I would love to be part of the launch team! Since the passing of my parents my mom most recently….I am at a 5 with me being me. I have huge identity issues and I am excited to read this that it will help me become back to me. I would have to say a 9. I am struggling daily to raise a teenage girl with identity issues while trying to make a better life for us all. I have gone back to school full time and try to keep light that I am old enough to be all my classmates mother. Right now I am at 10. I am working with God to understand and heal my struggles with self worth, self esteem and self confidence. It seems to come and go in waves. Sometimes I feel strong, courageous, worthy and confident. And other times like now I feel unworthy and I second guess my experiences of people showing me love and telling me how wonderful I am. I grew up without the emotional support I needed. My mother was self absorbed, emotionally absent, depressed, unhappy and addicted to alcohol. I don’t blame her anymore, I understand and have forgiven her. I know that when you start out in life not having your basic emotional needs met, it sets you up to feel unworthy, unlovable and even invisible. It doesn’t matter how much you accomplish in life, its never enough to fill that gaping soul wound. I understand now the value & importance of having a relationship with Jesus. Only He can teach us who we are and who we were created to be. Only He can heal us. I am a highly sensitive, compassionate, empathic person and I FEEL everything. I am an introvert which makes me a good listener. God has shown me people’s pain and given me a desire to demonstrate His love and help them. I know many people who could benefit from Michele’s book. I can’t wait to read and recommend it. Guess I didn’t make the cut. That is okay, I will buy the book anyway. 10. 11 if I am really honest. Recently my world has been shattered by a family member and I am struggling with the basic of who I am. Looking forward to this book. Thank you Michele for being brave and honest. I apologize but I have accidentally deleted the Email for the launch team. Is it possible for a resend? Really looking forward to this.